What Formwork Failure Looks Like and How to Stop it from Happening | McKee-Horrigan Inc.
What Does Concrete Formwork Failure Look Like, and How Can You Prevent It? We all know that a building is only as strong as its foundation. If it’s sturdy, you can trust that the building’s structure will stay upright for a long time to come, even in the face of the elements. If it’s weak, however, you can’t expect it to last very long without sustaining some kind of structural damage, or worse, collapsing. There’s one aspect of foundations that can lead to a dangerous mess when it falls apart – formwork. You can think of such an issue in the way we think of certain diseases. The problem grows and worsens over time and before you know it, the damage has been done. Therefore, while working on a new building project, it’s important to work alongside those who are experienced with formwork, so that you can prevent structural issues altogether. You should hire concrete forming contractors in Toronto to get the job done. The last thing you want is to have your facility crumble when you could have prevented it. The problem with foundation failure is that you won’t always see it out in the open (although sometimes it’s quite clear). In fact, it may take a total collapse for you to realize that something was wrong in the first place. Issues such as roof leaks cause brown patches to form on ceiling tiles, and they certainly jump out at you. With formwork failures however, you often have to ‘zoom in’ for a closer look at the what’s taking place. When left undetected, the weakened structure may lead to a slew of exterior and interior signs. Cracked flooring – The sight of fissures in the floor is more than an eyesore. It’s a sign that indicates the building’s foundation has been compromised, and therefore, will need immediate attention to prevent further problems. Misaligned windows and doors – If the doors and windows all of sudden don’t seem to hang right, then that could very well be a symptom of a weakened foundation. Wall rotation – It may be a somewhat surreal sight, but a rotating wall is not an illusion. Such an occurrence may suggest that your foundation has succumbed to some flaw. Cracked bricks – The most visible outward sign of a compromised foundation may be the appearance of cracked bricks. They should prompt a swift phone call to concrete forming contractors. Wear and tear is an inevitable force that all structures will have to face over time. There’s no escaping that. However, no building should fall apart before it’s time. Formwork that fails in its duty to provide strength to concrete does exactly that – it cuts a structure’s stability to a much lower level, putting all those who work or live within it in danger. With that said, there are some common reasons why such failures occur in the first place. Incompetent Engineering – Most engineers and architects have the education, experience, and fundamental skills to build a facility that’s safe and strong. But there will always be those few who seem to have slipped through the cracks. An engineer who lacks the competence to properly install formwork will likely set a weak foundation for that structure. 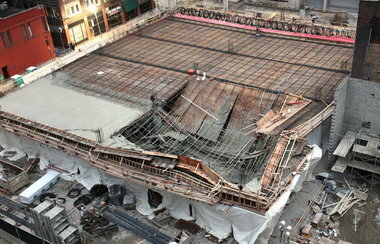 Removal of Formwork Before Concrete Strengthens – Concrete needs time to solidify and strengthen. Formwork moulds the concrete, since it starts off in a liquid state, so that it hardens into the shape intended by the designer. Removing that formwork too soon is akin to removing a half-cooked pancake from a pan too early – it falls apart. Formwork Components are of Poor Quality – The materials used in formwork are generally made of steel, aluminum, or timber. Although they are sturdy, it’s possible to find weakened material out there, and if used, it may hinder the moulding process. Formwork Not Constructed to Meet Design and Specifications – Blueprints exist for a reason. There’s a lot of calculations both aesthetically and functionally to make sure that the building stands. If the formwork doesn’t meet those requirements, then the likelihood of having a weakened structure increases. Unstable Soil – At the very bottom of a building is the soil. We all know what happens to homes built on steep hills after several decades. Heavy rains and the natural course of erosion can push those homes out of their positions in tragic mudslides. Likewise, unstable soil can lead to the overall failure of formwork and concrete. Choosing the wrong soil to build on generally indicates a lack of competence on behalf of the engineers and others involved with the project. When it comes to the foundation of a house or building, it’s always better to prevent disaster rather than trying to escape it. It’s incredibly difficult, if not impossible, to repair a foundation after the fact. 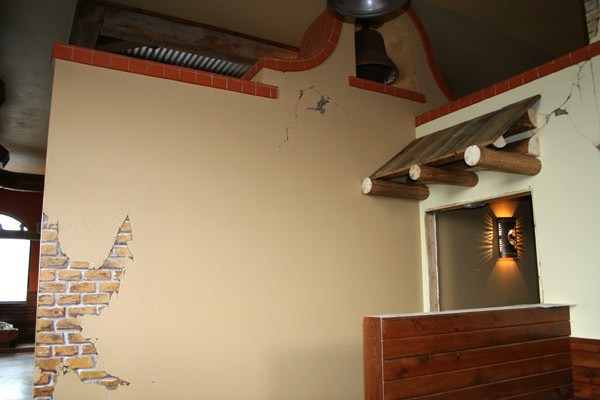 In many cases, the structural flaws may not be too severe, and the resulting damage might be manageable. However, there are many instances where the entire building falls apart when subjected to many demands such as a high volume of people. It’s a problem often seen in developing nations that get by on lax building codes. Here in Canada (and the developed world), foundational issues of such nature are rare. But that doesn’t mean they don’t exist. There are a few companies and so-called “specialists” who execute a poor job, which leads to the detriment of the structure they build. Fortunately, you can avoid this by hiring concrete forming contractors in Toronto who have a proven track record in the installation of strong foundations. Seeking such professionals should be a high priority if you are about to embark on a major building project. Enlighten you about the process – Even if you don’t fully understand certain terms and processes, you can trust specialists to teach you a thing or two about how they lay formwork. They know that they’ll put you at ease, and answer some of your most pressing questions by doing so. Respect your wishes and requirements – Ultimately, your project is your business, and that means that you are the boss. Therefore, you can expect concrete forming contractors who are worth their words to put your requirements above all else. With that said, you can trust them to advise you against certain things that might compromise the strength of your foundation. Never be in a rush or too frugal when dealing with the formwork of your facility. A project that goes past a deadline is manageable. A structure that collapses is disastrous. So protect yourself, colleagues, and whoever else may enter your warehouse or home in the future. Looking to hire experienced concrete formwork contractors for your building project? Get in touch with us so we can help you meet your construction goals!